The model brings the drama in her "Coco Noir" fragrance ads. From commercial brands like Victoria&apos;s Secret, Nike and Free People, to luxury labels like Hermes, Dior and Oscar de la Renta, the versatile Karlie Kloss has been the face of an impressive number of the world&apos;s most notable fashion houses over the last few years. 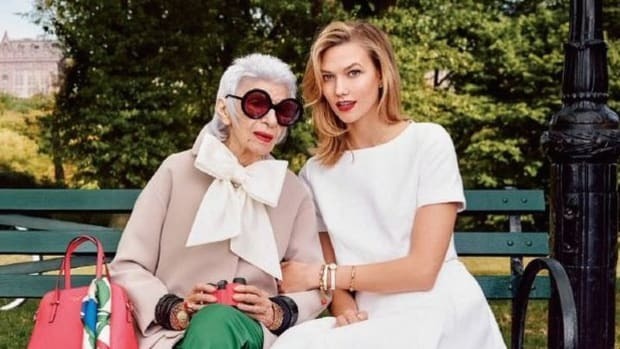 Now, after many a runway appearance for the French brand, Kloss has revealed her first-ever ad campaign for Chanel, as the star in a new print spots for the “Coco Noir” fragrance. The shadowy images, shot by Sølve Sundsbø, are dramatic and mysterious — a far cry from the seemingly identical ad campaigns we saw throughout most of the season. Click through to see the rest of Kloss&apos;s Chanel campaign. The three-minute ad was directed and produced by Baz Luhrmann. Karlie Kloss's chop is basically the new 'Rachel.' The New York Times decreed it and it was so. But it turns out the model wasn't too thrilled with it at first. As one of 41 "fashion experts" chosen by the luxury conglomerate, Kloss used her digital platform to introduce fans to industry up-and-comers.